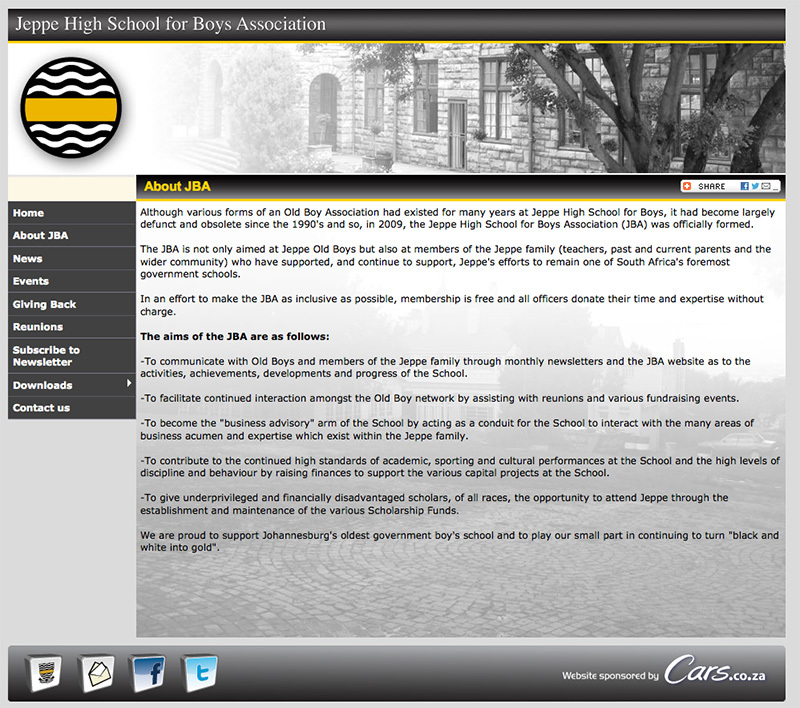 The JBA are the Jeppe High School For Boys Association, and they were officially founded in 2009. They are a way of resurrecting the Jeppe Old Boys Association. The JBA is not only aimed at Jeppe Old Boys but also at members of the Jeppe family (teachers, past and current parents and the wider community) who have supported, and continue to support, Jeppe's efforts to remain one of South Africa's foremost government schools. In an effort to make the JBA as inclusive as possible, membership is free and all officers donate their time and expertise without charge.